eDocEngine VCL provides document creation components for several formats. We call these components document creation engines. The document creation engines also provide a GDI canvas to draw page content on to. So everything that can be drawn to a printer or screen canvas can be drawn on the engine’s canvas to create a PDF, HTML, RTF or other format of the contents on each page canvas. Since it’s a full GDI canvas, we can use GDI shape drawing functions for drawing shapes such as Arcs, Rectangles, Chords, Pies, etc. Using the GDI Arc function may require some additional help. 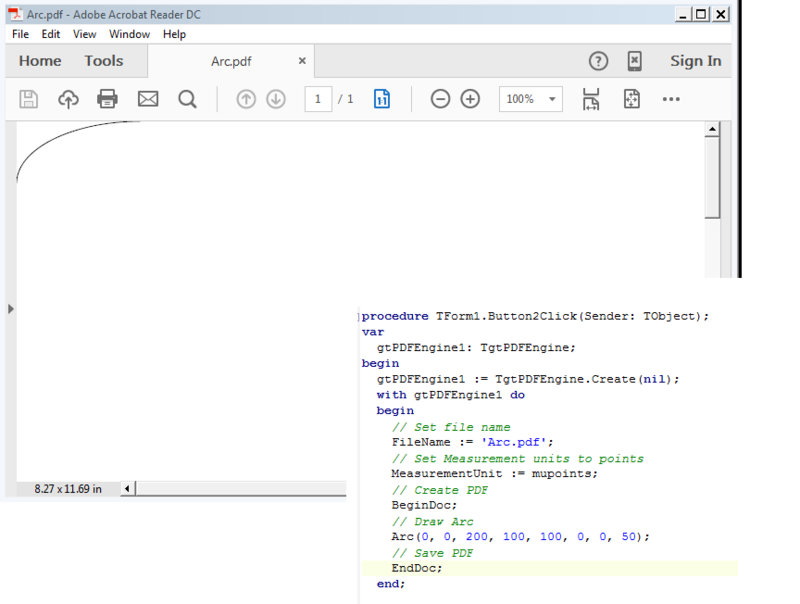 In this article , we will see how to draw an arc using the GDI Arc function, first, on a screen canvas and then make an identical call on the PDF engine’s canvas to produce a PDF. 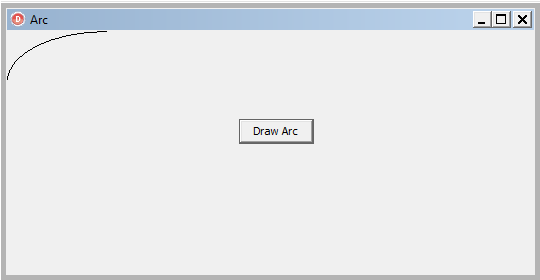 I would like to quote below the clear explanation about drawing an Arc on a GDI canvas given by Jo, a Delphi developer in Bristol, England . The first thing to do is draw a rectangle on a piece of paper that would mark the boundaries of your ENTIRE ellipse if it were fully drawn on your canvas and mark out its top-left, top-right, bottom-left and bottom-right co-ordinates. From this rectangle you will need the top left and bottom right co-ordinates. These will become the first four parameters used in the arc procedure. Then identify the stopping point of your arc on the boundary rectangle. Remember that the arc moves anti-clockwise. From this you will need the x an y co-ordinates. 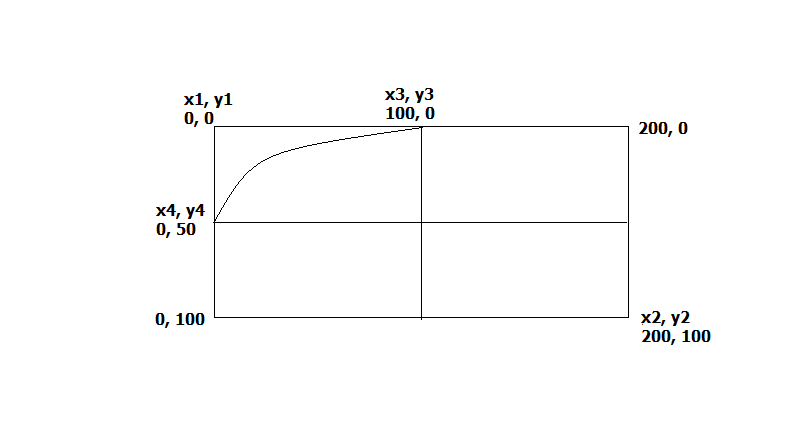 The x and y co-ordinates from steps 2 and 3 make up the last four parameters used in the arc procedure.